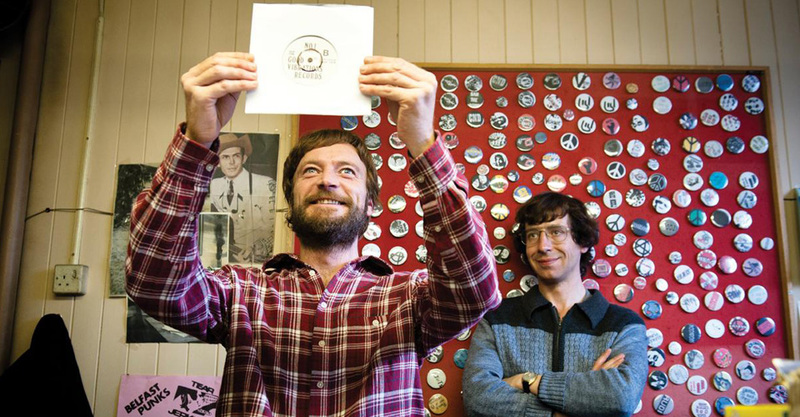 Set in the 1970s and into the 80s, Good Vibrations shows how Terri Hooley (Richard Dormer), a pacifist who couldn’t stand the way the Troubles was dividing his countrymen, opened a record store and discovered punk. Thanks to his anarchist attitude and passion for the music, Hooley attempted to record and export several punk Irish acts to the rest of the UK and the world – with varying levels of success. It felt very much like 24 Hour Party People, the fabulous ** film about Tony Wilson and the Manchester scene of the late 80s, and this is certainly not a bad thing. It’s a good music film, and Richard Dormer is magnetic as Terri Hooley. Definitely worth a watch. Really, worth several viewings, and getting the soundtrack.